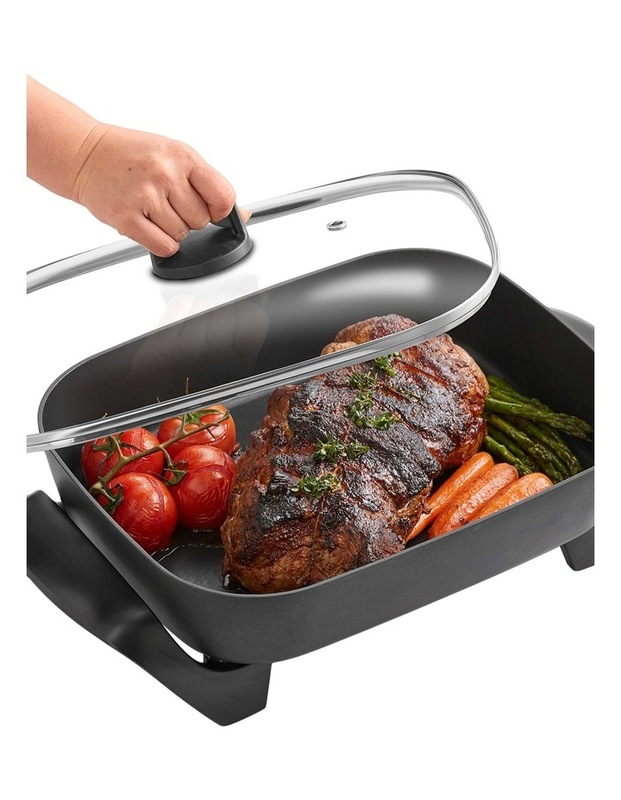 Cooking up a mouth-watering meal is hassle-free with this extra-deep, electric frypan. 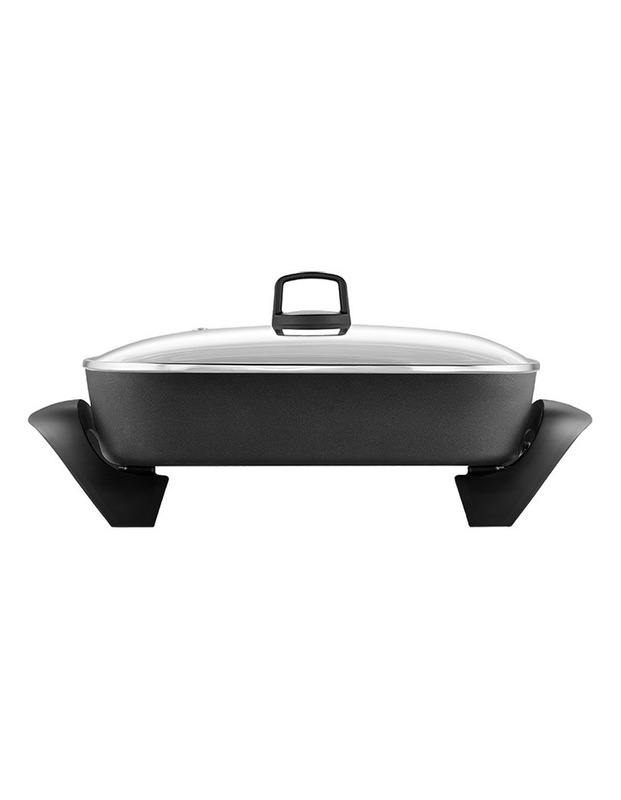 Measuring 38cm by 29.5cm, and with a 2400W, cast-in element, this banquet frying pan is large enough and powerful enough to cook enough meat for the whole family. 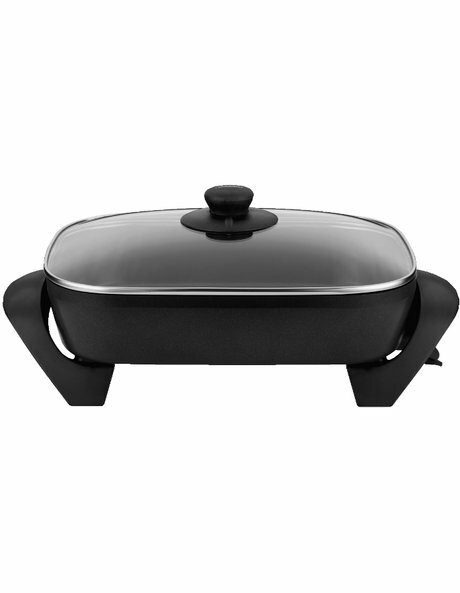 Metal utensil and dishwasher-safe, the Sunbeam Classic Banquet Frypan - Black FP5910 also features a durable, scratch-proof, Teflon Platinum Pro non-stick cooking surface and a trigger-release temperature probe with ten settings. It also has a vented, tempered glass lid. Includes 12 month warranty.